Rajasthan Police Constable GD, Driver Recruitment 2012-13: Office of The Director General, Rajasthan Police (Govt. of Rajasthan), Jaipur issued Notification for 10000 Jobs of Police Constable GD, Drivers as per Notification No. Advt. No. F.5(4)Police Force/ Constable-Recruitment/2011/5152 Date-28.09.12. Application Fee: Rs. 200/- (Rs. 150/- for SC/ST of Rajasthan only) through cash deposit on E-Mitra Kiosk or Jan Suvidha Kendra (C.S.C). Qualification: Minimum qualification for District Police is Secondary (Class-10) passed while for RAC battalion is Class-08 passed from recognized Board. 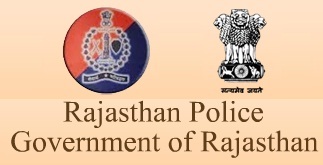 How to Apply: Eligible candidates should apply ONLINE from official Rajasthan Police website http://www.exampolice.rajasthan.gov.in/ on or before 06th November 2012 from 8th October 2012 onwards. Thanks for your grateful informations, this blogs will be really help for Examination results. good information on Visit www.policeexamindia.com!